As someone who teaches media studies to second year university students, I spend a deal of time each new semester explaining that there is a difference between a state broadcaster and a public service broadcaster. USSR Gosteleradio, China Central Television, and Cubavisión are examples of the former; our own CBC is an example of the latter, I tell them. I need to go through this every fall because a majority of my students have no clue what the CBC is, or what purpose it is intended to fulfill in the increasingly complex media ecology in which we are all immersed. 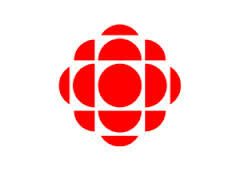 There are many ways to parry this challenge: the CBC is a crown corporation that, by law, operates at arm’s length from government; in a democratic society like ours it would be political suicide for a government to interfere with programming on the public broadcaster; the role and purpose of a state broadcaster is to support, and not criticize, government policy… and so on. Those arguments were all undercut this week when it was revealed that the federal government’s new budget contains a provision that would give Ottawa bureaucrats—and through them the federal Cabinet—a seat at the bargaining table whenever the CBC is negotiating contracts with its unions. The government’s rationale for this, as expressed in a Treasury Board Press release, is to ensure that taxpayers’ money is spent responsibly. Hard to argue with that, except that… 1) the CBC points out that its salaries have gone up at about half the rate of private broadcasters’ over the past seven years; 2) the Broadcast Act states explicitly that CBC employees are not to be considered public servants under government supervision, and 3) the government’s involvement in negotiations will extend not just to rates of pay, but to all other contract considerations, including hiring policy and working conditions. And it will include hiring and remuneration of non-union contract employees as well. It is difficult to imagine how collective bargaining could take place in good faith if there is a suspicion that the employer’s negotiators are operating as sock puppets, under the control of the federal cabinet. But the implications for the public broadcaster go beyond that. CBC Radio One’s As It Happens, to its credit, covered the story Wednesday by interviewing former CBC President Tony Manera. He made the crucial point that it is not so much a question of whether the government will use its new powers to meddle in CBC programming, but whether there is a public perception that it does so. This is of course especially critical where news is concerned, and especially coverage of Parliament. Imagine some future Peter Mansbridge doing an accountability interview with the Prime Minister, knowing that every aggressive question might put his job with the corporation in peril. Imagine a future audience’s impressions of such an encounter. Imagine the damage done to the credibility of CBC News. As It Happens noted that it had tried to interview someone in the corporation’s current senior management on the subject, but had been unable to find anyone willing to go on record. This, of course, served to reinforce the point Manera was making. Whether intentionally or not, Bill C-60 contains a tool kit for future, discreet government meddling with the operations of the public broadcaster in ways a succession of Broadcast Acts dating back to the early twentieth century had set out to make difficult, if not impossible. As the very least there is good reason to suspect a trend here, to see an indication of an undeclared intention to change the fundamental nature of the public broadcaster. The Friends of Canadian Broadcasting pointed out a few days ago that, according to Elections Canada records, eight of the 11 current CBC Board of Directors members have given donations to the Conservative Party of Canada. These are sad, even tragic, days for the CBC. Bled white by successive government cuts to its funding—to the point where its subsidy is now less than half the average given to pubic broadcasters in other OECD countries—it is on the ropes. And now it is facing the imminent loss of nearly half of its advertising revenue (and nearly 400 hours of Canadian content) if and when it loses its NHL hockey contract to private broadcasters this spring or summer. Bill C-60 adds insult to injury, threatening to undermine the authority and credibility of the nation’s most important non-commercial source of news and information. What am I to tell my students this fall? It’s the kind of question that’s likely to keep me awake nights until then. Wade Rowland has worked in senior management at both CBC and CTV and is author of more than a dozen books. He currently teaches at York University in Toronto. His latest book “Saving the CBC: Balancing Profit and Public Service” has just been released.